This segment from Jake Tapper is just perfect. We need to see so much more journalism like this. It is not opinion journalism, it is fact-based journalism. (Slightly longer version at this twitter link that won’t embed). What I really want to know… does this matter? Are at least some Trump voters open-minded enough to be upset that he lies so brazenly. Given what we’ve seen so far, I fear the answer is “not really.” That said, presumably, over time, even Republicans don’t like being brazenly lied to. I have no doubt that Trump will continue to brazenly lie. And the real media (i.e., not Fox News) is clearly ready to step up to the plate. That said, here’s why Trump will do just fine for now. 90% support among Republicans. Until that starts to change, Trump is just a “normal” president who happens to be totally horrible. 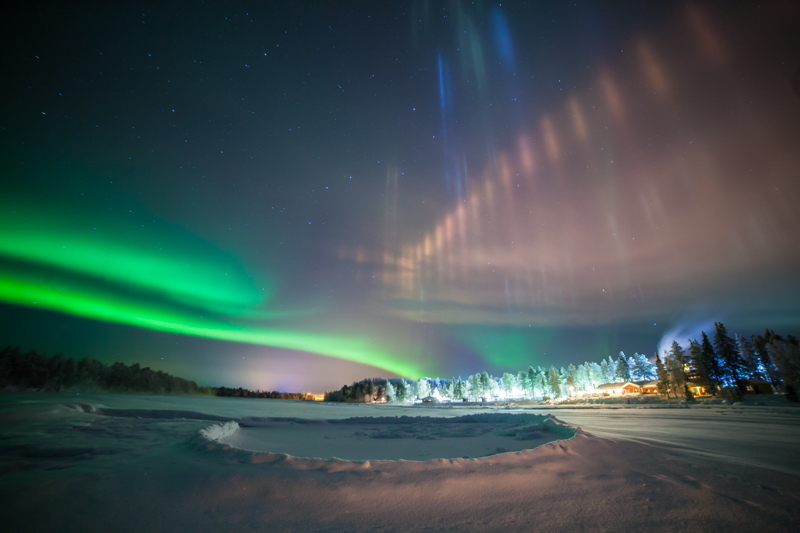 Just learned about “light pillars” on this week’s quirks and quarks. Google image search brought me to this photo. Yet unchecked free markets in education will inevitably put poor families in an even worse position. Numerous studies have shown that parents rely on word of mouth over other more objective and researched factors when selecting a school. That goes for parents of all income levels. But low-income parents are at a disadvantage because they often lack the time, wherewithal, and resources to thoroughly investigate school options for their kids, or access to some of the strongest schools (which may have complicated, time-consuming admissions processes). Some parents have less-than-stellar memories of their own, often subpar, educational experiences and may fear the traditional system as a result. That makes them especially vulnerable—although not uniquely so—to charismatic con men and women masquerading as educators: the Bernie Madoffs of the education space. Some charter schools seem to have really figured things out, but on average, it is clear that vouchers and charters are not some amazing solution. Remember, all those nations that outperform us on education are not doing it based on school choice. Free markets are awesome where the conditions are right and they work. Primary and secondary education are not that place (like health care, not coincidentally). So, yes, I’m okay with a properly-regulated role for charters, but I have absolutely no use for this false free-market ideology of education.